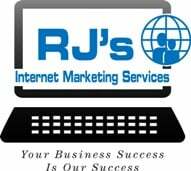 For your convenience, we have bundled our Internet marketing services and solutions into a variety of packages designed with you in mind. Perhaps you need administrative support. If so, go here for information on our Virtual Administrative Support. We also offer monthly retainers. Go here for hourly rates. Don't put off your Internet marketing any longer! Contact ustoll free at (866) 651-3073 or (602) 454-9408 to start accomplishing your Internet marketing goals today!